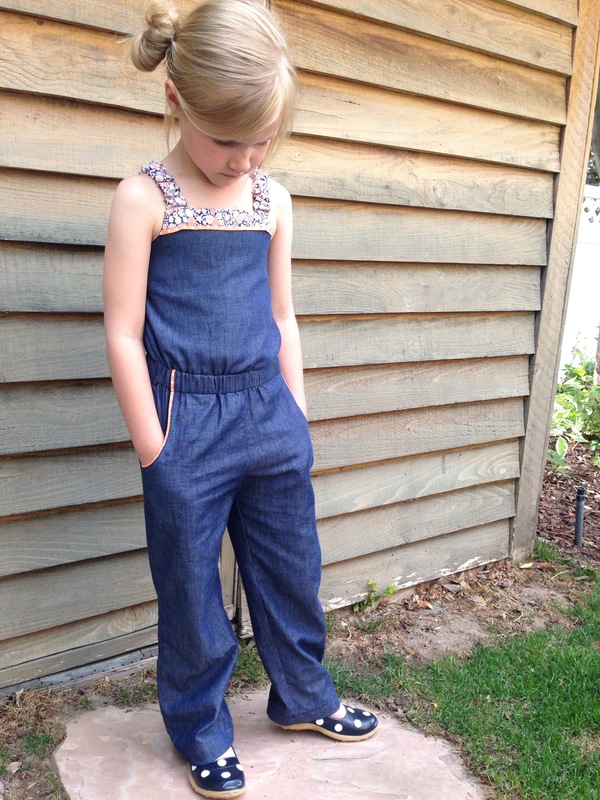 I had the pleasure of testing Call Ajaire’s first pattern, the Paneled Sunsuit. Sometimes designers rush their patterns out to consumers and take shortcuts on the finished product. Ajaire was just the opposite- thorough, detailed, and the final pattern shows all her hard work. My girls couldn’t get enough of this pattern! 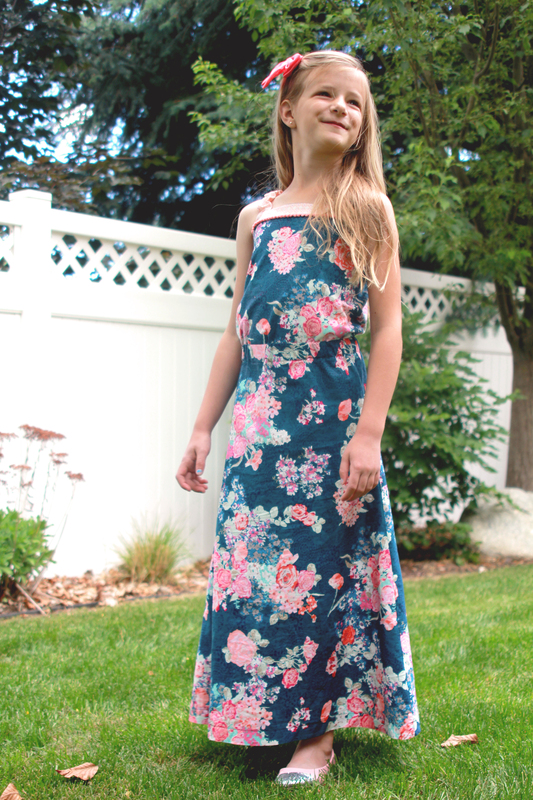 I did the Maxi version for my oldest in a gorgeous Art Gallery cotton from Raspberry Creek Fabrics. It was pure perfection! 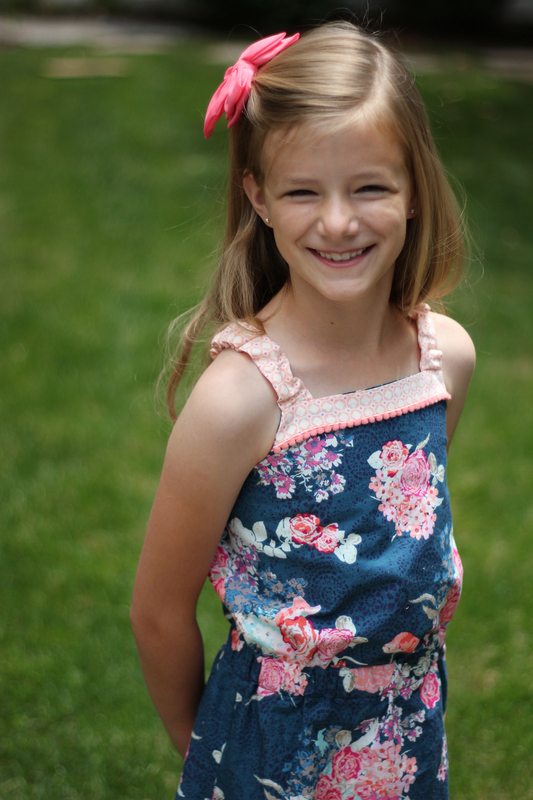 I think my Sophie should have a wardrobe full of that brilliant blue color and the silhouette was so cute on her tiny frame. The fitted waist and flared skirt make the dress seem so fancy and sophisticated. She declared it her favorite thing I’ve ever made her! Win, win, win!! 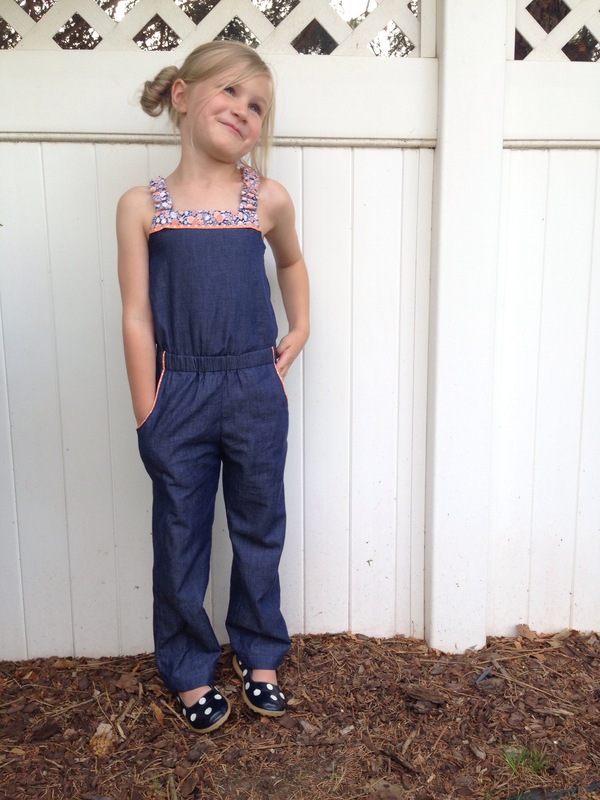 Payton got the darling pantsuit version. 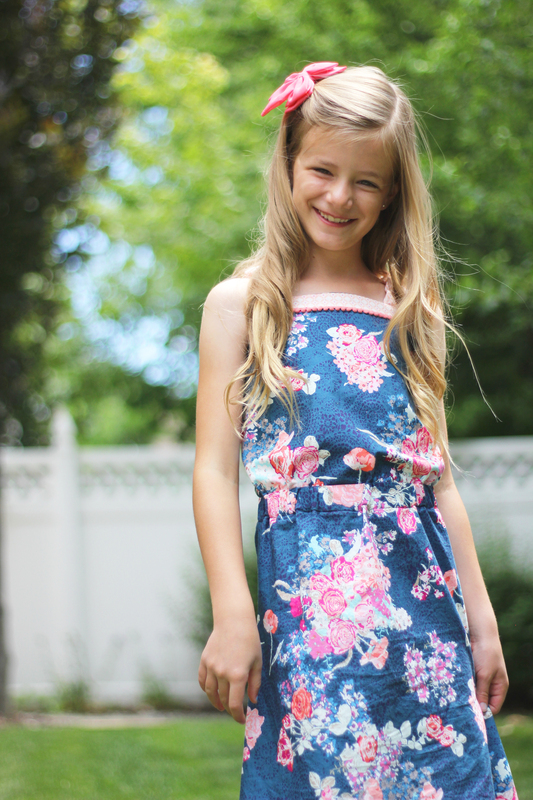 It is so adorable in a light chambray with floral details. 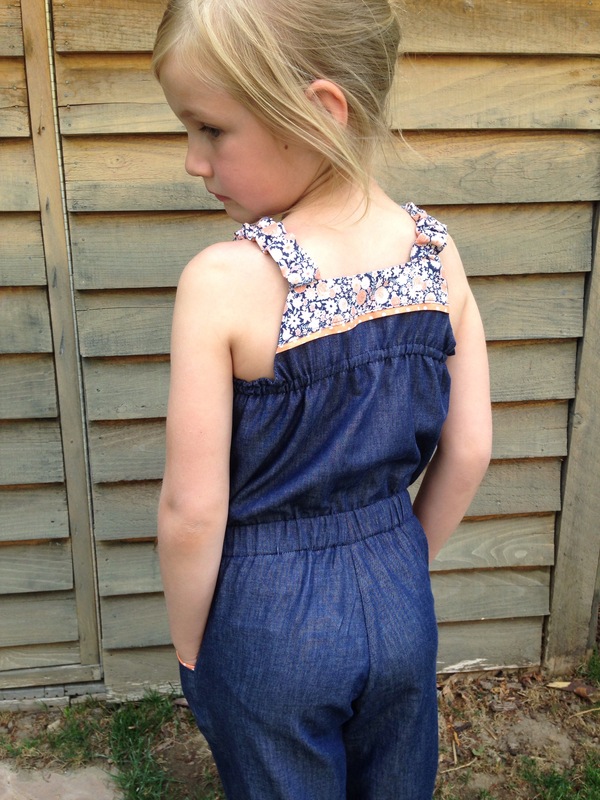 The pantsuit is easy on and off with the cute elastic shoulder straps but it stays snug against the bodice with the simple elastic casing in the back. So cute and classic!